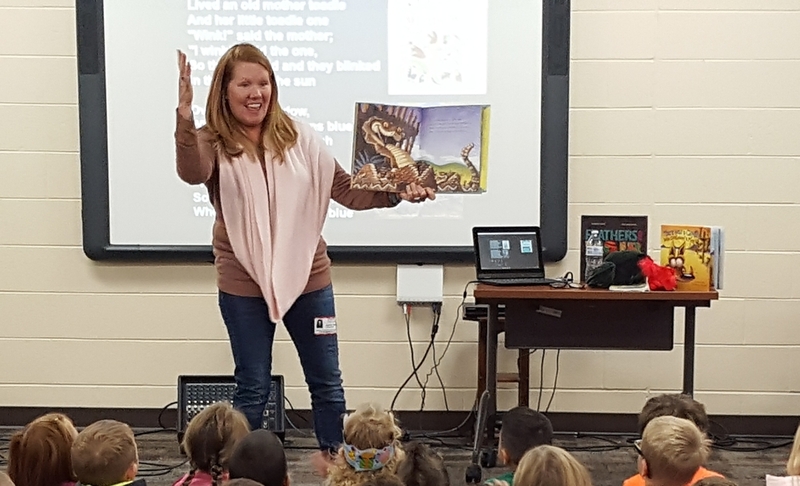 To celebrate Literacy Week, Seneca Grade School invited two authors to visit North Campus. On November 14, Michael Wayne shared his interactive Snowman book series with preschool and kindergarten students. He read to the students and shared how he creates text and illustrations for his books. Jennifer Ward, visited with kindergarten through fourth grade on November 15. Students enjoyed seeing pictures of the desert wildlife that she writes about, including rattlesnakes, bobcats, and tarantulas! She described her writing process and inspired students to continue writing stories of their own.